seven + nine = ? five + seven = ? 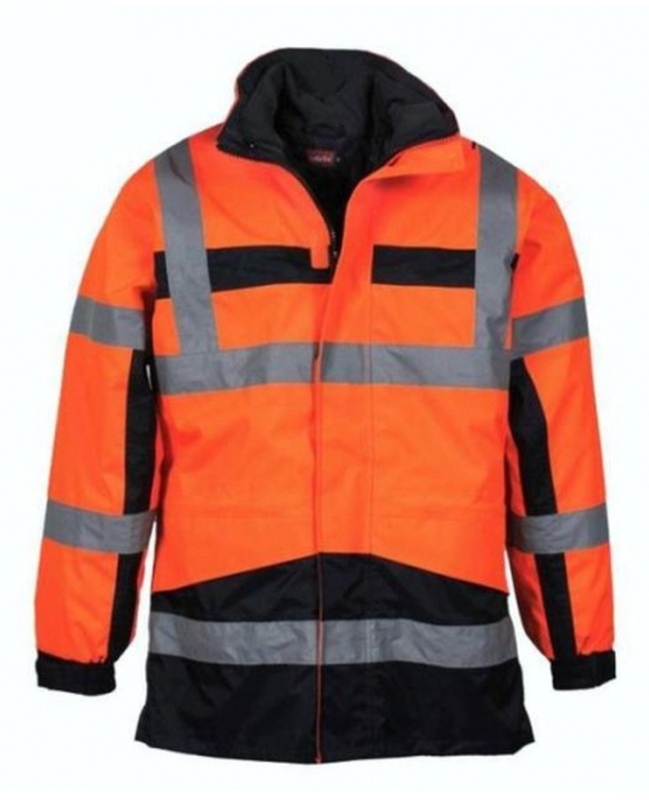 Modern 4-in-1 warning parka with removable warning jacket with detachable sleeves. Breathable, water resistant and windproof. 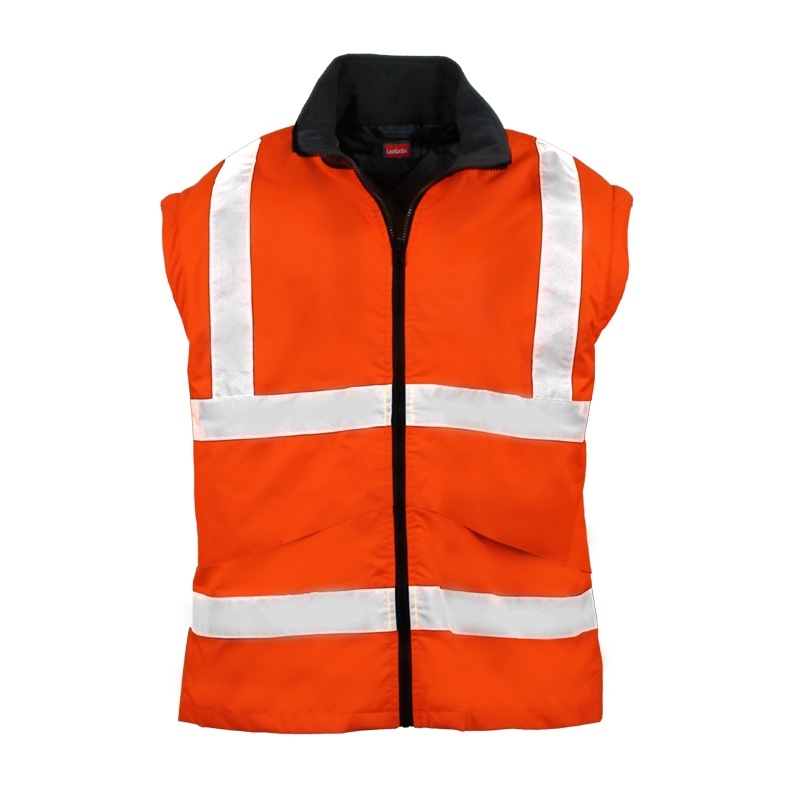 High visibility thanks to reflective strips on sleeves, trunk and shoulder. 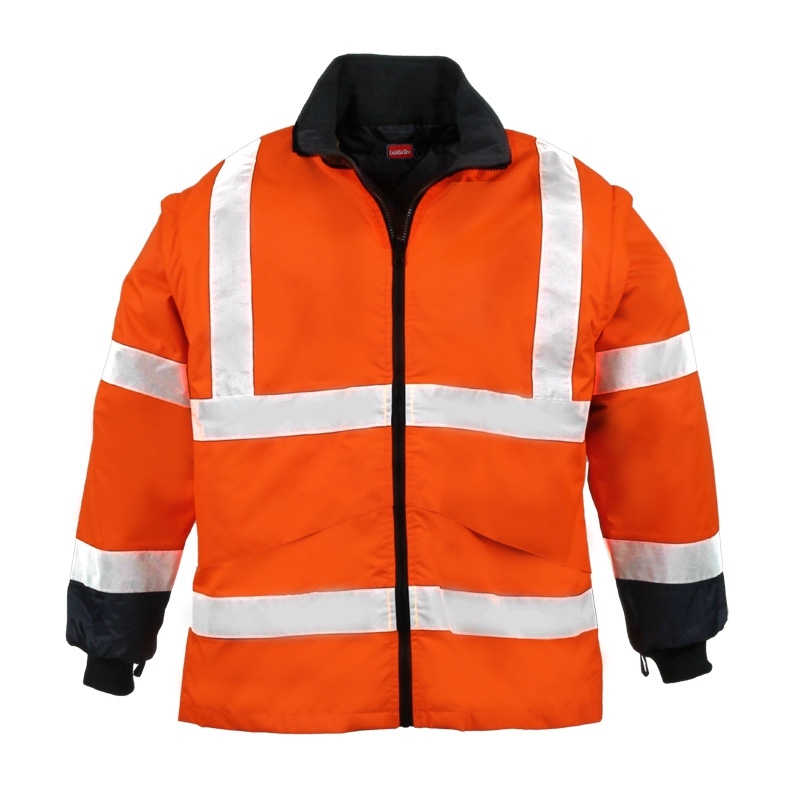 Outer jacket can also be used as a rain jacket. Removable sleeves and wearable as vest. Detachable hood fixed by zipper. Pleasant fleece trim in the collar. Covered zipper with chin guard. Knit collar in the sleeves of the inner jacket. Velcro straps of the outer jacket adjustable by Velcro. Adjustable elastic cord at waistband. Many well-arranged inside and outside pockets. Upper material navy: 100% Oxford nylon with PU coating.